A beautiful scenic picture taken of the north side of Mount Rainier on a blue sky sunny day during the winter season. You can see all the snow covering the mountain. 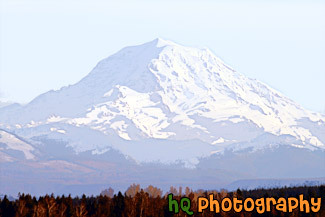 Mount Rainier is located in Washington state and this photo was taken from a hill in Bonney Lake.